Clinic Synopsis: Composer, David Gillingham, will outline the steps involved in creating new works for band and orchestra referencing the creation of his new work, "Vital Signs of Planet Earth", for bass trombone and wind ensemble written for George Curran of the New York Philharmonic. 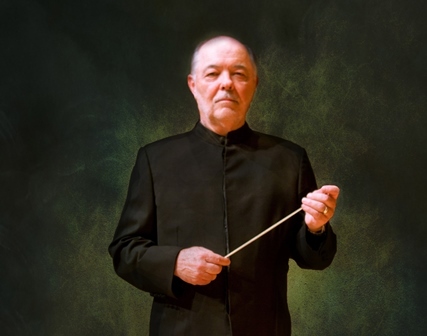 The Central Michigan University Symphonic Wind Ensemble, conducted by John E. Williamson, will perform the entire work with George Curran, Bass Trombonist of the New York Philharmonic Orchestra, as the soloist. Clinician Biographical Information David Gillingham earned Bachelor and Master Degrees in Instrumental Music Education from the University of Wisconsin-Oshkosh and the PhD in Music Theory/Composition from Michigan State University. Dr. Gillingham has an international reputation for the works he has written for band and percussion. David Gillingham is a Professor of Music at Central Michigan University and the recipient of and Excellence in Teaching Award (1990), a Summer Fellowship (1991 and a Research Professorship (1995). He is a member of ASCAP and has been receiving the ASCAP Standard Award for Composers of Concert Music since 1996. Second Clinician Biographical Information George Curran became the bass trombonist of the New York Philharmonic in June 2013 after serving in that role with the Orchestra during the 2012–13 season. Previously, he was a member of the Atlanta Symphony Orchestra for five years and a fellow with the New World Symphony. He has also performed with the major orchestras of Cincinnati, Detroit, Colorado, North Carolina, and Alabama. In 2010 he performed with the Atlanta Trombone Project on a recording titled Roadwork. This project resulted in the formation of the Southeast Trombone Symposium, a week-long summer workshop at Columbus State University (CSU) where college students are coached by members of the Atlanta Symphony Orchestra trombone section. Mr. Curran was a soloist on a recently released recording titled A Beautiful Noise, which features prominent trombone soloists performing with the CSU Trombone Choir, including Philharmonic Principal Trombone Joseph Alessi. 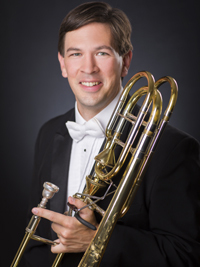 Mr. Curran has also performed concertos with the U.S. Army Band at the Eastern Trombone Workshop, Georgia Youth Symphony Orchestra, and many college ensembles. A native of Farmington Hills, Michigan, George Curran received his bachelor’s degree in music education from Central Michigan University and a master’s degree in performance from the University of Cincinnati College-Conservatory of Music. His principal teachers have included John Rojak and Peter Norton. 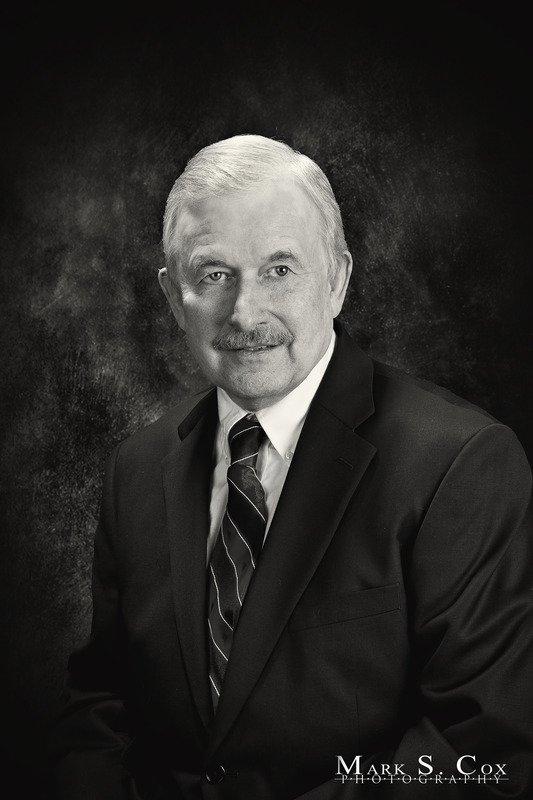 Third Clinician Biographical Information John E. Williamson, Professor of Music has been Director of Bands at Central Michigan University since 1979. Born and raised in Joliet, Illinois he studied clarinet with his father and Jerome Stowell of the Chicago Symphony Orchestra. In addition to guiding all aspects of the CMU Band program and Graduate Conducting program he is conductor of the Symphonic Wind Ensemble, which has performed at the Midwestern Conference, regional and national conferences of MENC and the College Band Directors National Association and in historic Carnegie Hall, New York. He is also founder and conductor of the CMU Chamber Winds, which has performed at the Michigan Music Conference and the Midwest Clinic. He was previously conductor at Wheeling (IL) High School, where his wind ensemble gained national recognition due to its unique programming and performances across the United States including a performance at the Midwest Clinic in Chicago. The Sousa Foundation recently honored the Wheeling program, as one of the nation’s finest with Mr. Williamson receiving the coveted Sudler Award. He is active as an adjudicator, clinician and guest conductor nationally with additional appearances in Canada, Mexico, Europe and Australia. He has received praise for his interpretations from such leading composers as Michael Colgrass, Karel Husa, H. Owen Reed, David Maslanka, Augusta Read Thomas and David Gillingham. Among the soloists he has accompanied are Adolph Herseth, Dale Clevenger and Michael Henoch of the Chicago Symphony Orchestra. Professor Williamson is a member of the prestigious American Bandmasters Association, National Band Association and Phi Mu Alpha. He has held offices in the College Band Directors national Association and is head of the Commissioning Project for the Mid-American conference Band Directors Association. In addition to being listed in the International Who’s Who in Music he has received the NBA Citation of Excellence twice and was the first Illinois director to receive the “MAC” Award from First Chair of America. He was most recently presented the Excellence in Teaching Award from Central Michigan University and has received the Orpheus Award from Phi Mu Alpha Sinfonia. He has been new music reviewer for The Instrumentalist, BD Guide and Band magazines and is co-author of “Strategies for Teaching High School Band” published by MENC. He is most recently author of “Rehearsing the Band” published by Neidig Services, which is now in its third printing in response to national and international demand. It has recently been translated into Japanese for sales in that country.